Iconic Vincent Van Gogh paintings such as Sunflowers could be changing colour because of the lighting that was supposed to protect them, a study has found. 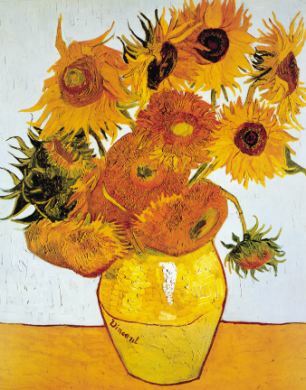 Yellow paint used in several of his most famous pictures, including Sunflowers and Portrait of Gauguin, is unstable and can turn to shades of green or brown. Scientists have now discovered that one of the reasons why the yellow paint could be darkening is the lights used by museums and art galleries. They fear that dozens of masterpieces by Van Gogh, Paul Cézanne and other artists may be at risk of irrevocable deterioration under the soft lighting of museums and art galleries. LED lights had been thought an ideal way to protect the pictures because it avoided the damage caused by the glare of natural and types of illumination. But the study of a type of yellow paint introduced in the nineteenth century and beloved by artists such as Van Gogh and Cézanne is a cause of deep concern to art conservators. It began because curators had become worried that some of their most valuable masterpieces were changing colour. 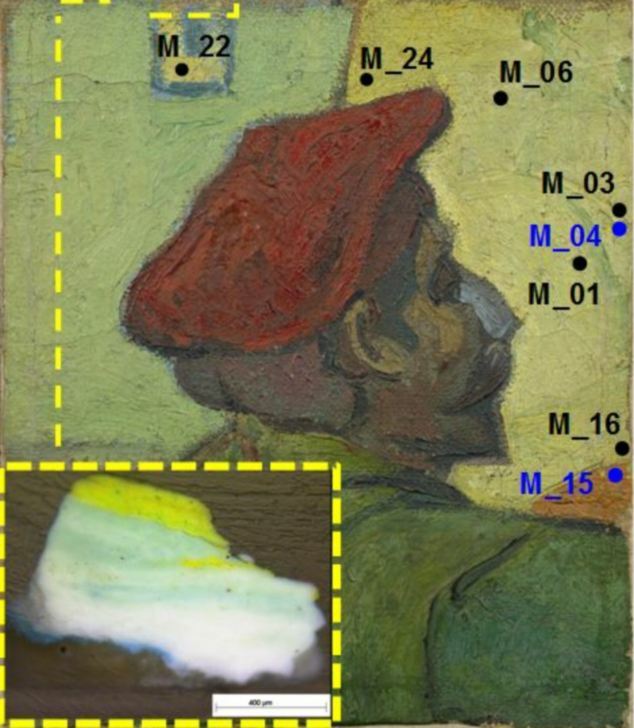 Researchers studying Van Gogh’s pictures concentrated on his use of chrome yellow paint, lead chromate, which is richer in sulphates than most others. It is the high proportion of sulphates that is believed by the European team of researchers to be responsible for the darkening of the yellows under light. 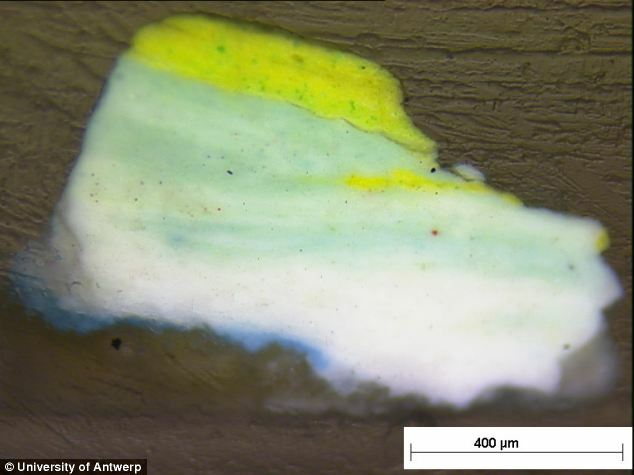 ‘Both stable and unstable forms of chrome yellow paint were used not only by Vincent Van Gogh but also by Paul Cézanne,’said Professor Koen Janssens, of the University of Antwerp, who headed the research team. Three shades of chrome yellow were considered in the study, published in the journal Analytical Chemistry – lemon yellow, middle yellow and primrose yellow. Using the powerful X-ray beams at the Deutsches Elektronen-Synchrotron (DESY) in Germany and at the European Synchrotron Radiation Facility (ESRF) in France, researchers discovered that middle yellow was stable but the primrose and lemon shades were not. Exposed to the ‘green/blue’ light emitted by some LED light sources – and previously believed to be safe for artworks – the primrose and lemon yellow began turning brown or olive green. Professor Jenssens added: “Some LED Lights may emit much more blue/green light than ‘normal’ light sources. ‘We have observed that these wavelengths can speed up the discoloration of some very sensitive variants of the yellow pigment lead chromate. Ella Hendriks, Head of Conservation at the Van Gogh Museum in Amsterdam, welcomed the findings: ‘Studies like these are very important to make museum curators aware that, even under ambient light conditions, the degradation of some sensitive materials proceeds continuously. This entry was posted in LED, UV radiation / skin problems. Bookmark the permalink.